der Adapter hat 299 Euro (ohne Mwst und Versandkosten) gekostet und ich vermute, dass dies der offizielle Preis ist (der aber noch nirgends publiziert ist). Interesting. What about the results, does it work well? thank you for your visit and comment. So far I am very happy with the adapter. It is very well built and the operation is intuitive to me. As I wrote, I am really just discovering tilt and shift photography and I have not taken many photographs with the adapter yet. 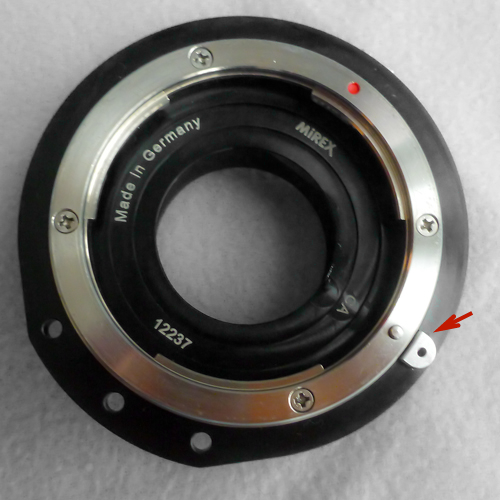 "this Mirex adapter could also be used on Sony NEX cameras (with a 1.25 mm thick adapter) "
Could you give specific info on manufacturer and model number for this adapter? - Thanks - John S.
thank you for your comment and the visit on my blog. 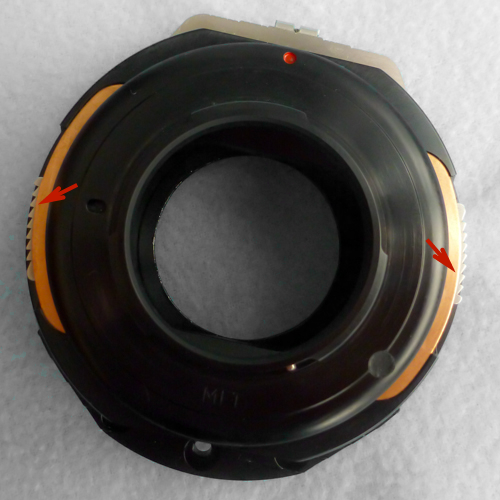 Do not mind the negative comment it has; it is obvious that such an adapter does not provide aperture control or AF. I would assume that there are other similar adapters available, but if I needed one for the mirex adapter, I would also ask the company itself. They seemed to have thought of this possibility when I mentioned it and may develop a solution themselves. der Adapter sollte auch mit Nikon Objektiven ohne Blendenring funktionieren. Es gibt Nikon - Canon Adapter, die ein Schliessen der Blende ermöglichen. Mit einem dieser beiden Adapter könntest Du Deine Nikon Objektive an den Mirex Tilt-shift-Adapter anschliessen und hättest die Möglichkeit die Blende zu schliessen (falls das Objektiv keinen Blendenring hat). 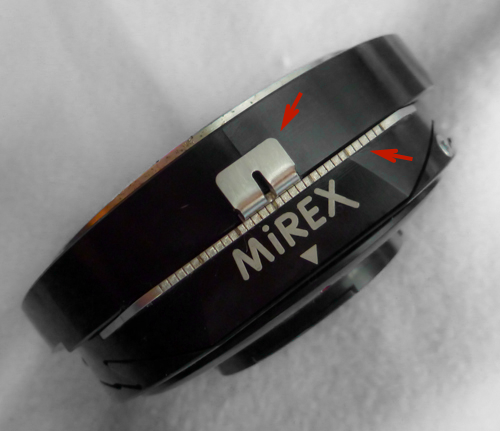 The question was if the Mirex Tilt-shift adapter would work with Nikon lenses lacking an aperture ring. With one of these adapters you could mount Nikon lenses on the Mirex Tilt-shift adapter and you would have the possibility to close the aperture (if the lens lacks an aperture ring). Aaah, verstehe. Ich kauf also den den TS Adapter für Canon, und dafür dann einen Nikon Canon Adapter. Clever. Vom Bildkreis her sollten es aber wohl schon FX/FF Objektive sein und keine für DX/APS-C Sensoren? Ich denke das hängt davon ab, was die Anwendung sein soll. Der Bildkreis eines DX/APS-C Objektivs ist immer noch grösser als derjenige eines m4/3 Objektivs. Man kann also sicher DX/APS-C Objektive mit dem Adapter verwenden. Vor allem der Shift-Bereich ist aber sicher kleiner - bei maximalem shift werden zum Teil mit "normalen" Objektiven die Ränder schwarz. Meiner Erfahrung nach lassen sich EF-S Objektive nicht montieren, aber das scheinst Du ja nicht zu brauchen. Ich vermute, dass die Tilt-Funktion mit DX/APS-C Objektiven weniger oder gar nicht eingeschränkt ist, aber ich habe damit keine eigenen Erfahrungen. Uebrigens: Meiner Meinung nach ist das clevere an der Tatsache, dass der TS-Adapter einen Canon Anschluss hat, dass man z. B. auch Leica R oder Olympus Zuiko Objektive anschliessen kann. 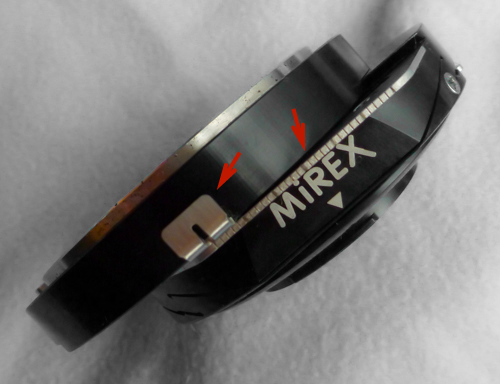 The question was if DX/APS-C lenses can be used with the Mirex tilt-shift Adapter. The image circle of these lenses is still larger than for a m4/3 lens and therefore it is possible to use DX/APS-C lenses. However, it will not be possible to use the full amount of shift. Even with full frame lenses, the borders are black when the lens is fully shifted. 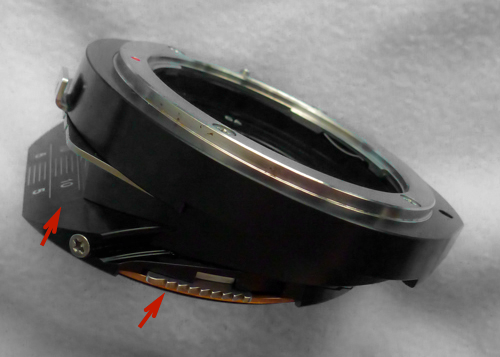 According to my experience, EF-S lenses cannot be mounted on the adapter. I would expect that the tilt function is less or not impaired with DX/APS-C lenses, but I have no own experience. Ah, ok, ich habs grad mal nachgestellt, es reicht grad nicht für einen "ganzen" Shift. Man kann so um 4,5 mm "shiften" ohne den Bildkreis zu verlassen. FX/FF ist kein Problem. Aber immerhin, 4,5 ist schon ganz ordentlich. Viele DX Objektive gehen auch noch ein wenig weiter als der Bildkreis eigetnlich muss. Wenn man das noch ausnützt, und bedenkt, dass viele Bilder mit Shift (Architektur) sowieso nur blauen Himmel in den Ecken haben, sollte das in der Praxis recht gut klappen. Leica R ist eine feine Sache, mir persönlich aber zu teuer. Und gute weite sowieso. Im Nikon DX bereich hingegen gibt es recht viele Objektive mit 10-12mm, womit sich dann ein 20-24mm TS Objektiv mit dem Adapter auf m43 ergibt. Is there a Tilt Shift MFT Adapter available for Leica R lenses or to NEX? Alternatively, I think there are tilt, shift, as well as tilt-shift adapters specifically for the Sony E mount (check on Ebay), but you will not be able to use these on a m4/3 body. In any case, I would not buy an expensive adapter with a Leica R mount. A Canon EF mount is a very good solution because you can adapt different lenses for this mount. The only thing I don't get, is why the adapter doesn't allow shift and tilt in the same direction? Is there a physical limitation, that they can't move in the same direction? If you make an adapter were the two can't be rotated independently, wouldn't it makes more sense to have them generally move in the same direction? thank you for your comment and visit on my blog! There is indeed a physical limitation that prevents shifting and tilting in the same direction. The tilt and the shift units and fused together and form one piece; without a rotating mechanism in between that would allow to define the tilt direction independent of the shift direction - the two are always perpendicular to each other. I do not know why the adapter was designed in this particular way, but it might not be that easy to fit a tilt and shift mechanism into such a small adapter. I understand that you consider this particular design a limitation, I thought so myself too. However, in practical use I was hardly ever limited by this and really think that the adapter is very well made. It is indeed a pity that the adapter is still not on the website and that you have not received a reply. Unfortunately, I cannot do much about this because I am not associated with Mirex in any way. 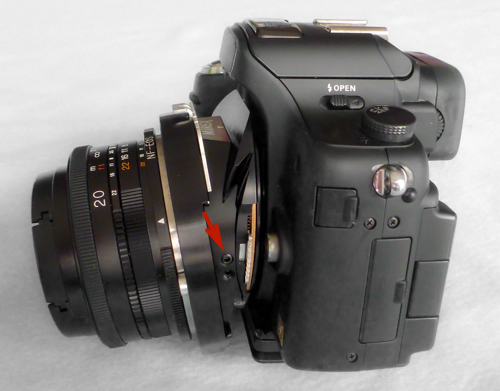 Have you tried this TS adapter with a Canon FD lens using an adapter for FD Lens to EF Mount? thank you for your visit! I have not tried a Canon FD lens with the TS adapter, sorry. In theory, there should be no problem though. Is this still available, and if so do you have details such as a model number? apologies for the delayed posting of your question. I assume that the T/S adapter is still available, but I am not associated with Mirex in any way. If you are interested in purchasing it is easiest to contact Mirex by e-mail (info@mirex-adapter.de) - in my case they have always been very responsive. Apologies for the delay in the posting of your question. I assume that the T/S adapter for m4/3 is still available, but I am not associated with Mirex in any way. If you are interested in purchasing the adapter I would suggest to contact Mirex by e-mail (info@mirex-adapter.de) - in my case they have always been very responsive.